I worked with Annika Lennox to create volumetric textile surfaces that explore the relationship between people’s willingness to interact, touch and playfully explore with design decisions around their appearance and choices to use tactile materials. 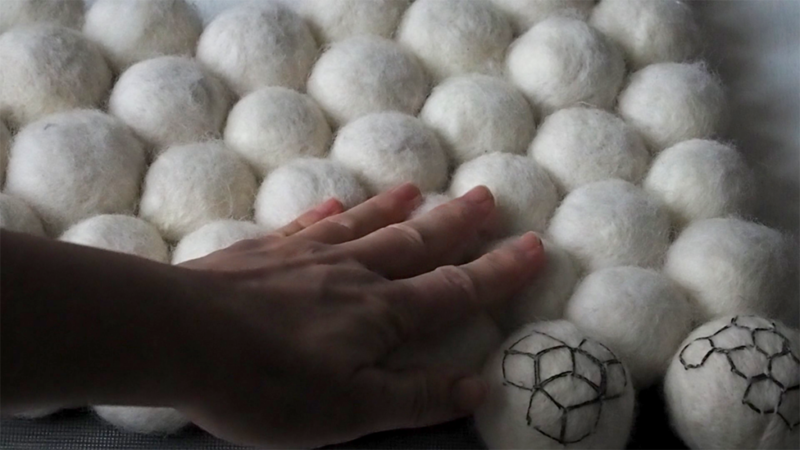 We chose hand crafted felt balls to invite playful touch exploration through the sensual feel of the dense, volumetric surfaces. Squeezing, pressing and stroking the surfaces emits sounds when the surfaces are connected to a control mechanism or micro-controller. 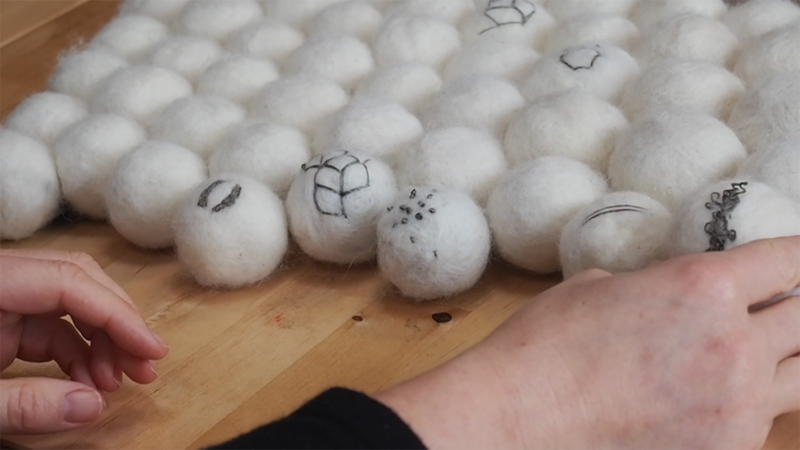 Test pieces used hand-embroidered conductive thread to create touch sensing zones on the balls that were connected to the Bare Conductive sound board and produced a range of sounds in response to touch signals. Hand stitched decoration using conductive thread added a range of embellishments to the felt balls adding effects. 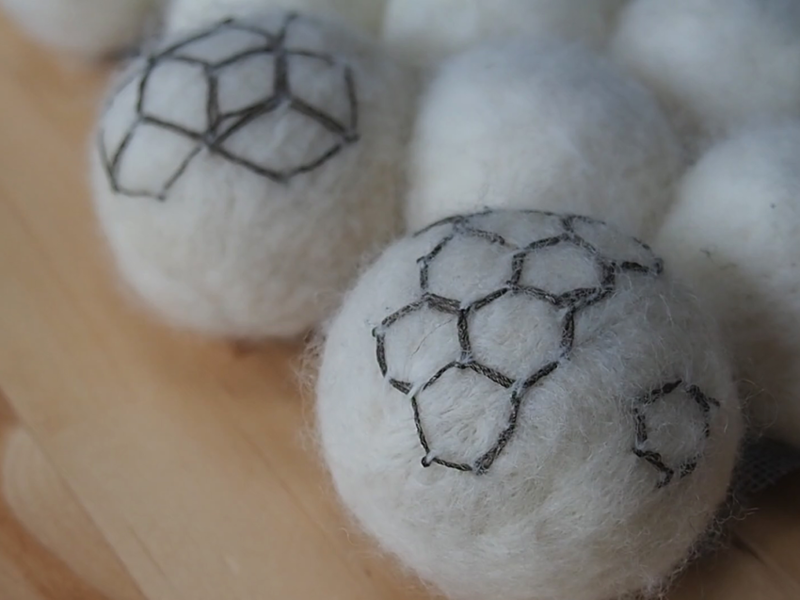 This kind of detail is not possible with a digital embroidery machine due to the 3D form of the balls. Hand embroidery created individual interpretations of decoration as well as providing a touch surface that could be extended with digital enhancements. The three-dimensional form of the surfaces have been used in research work as prompts for opening up an imaginative space for people. 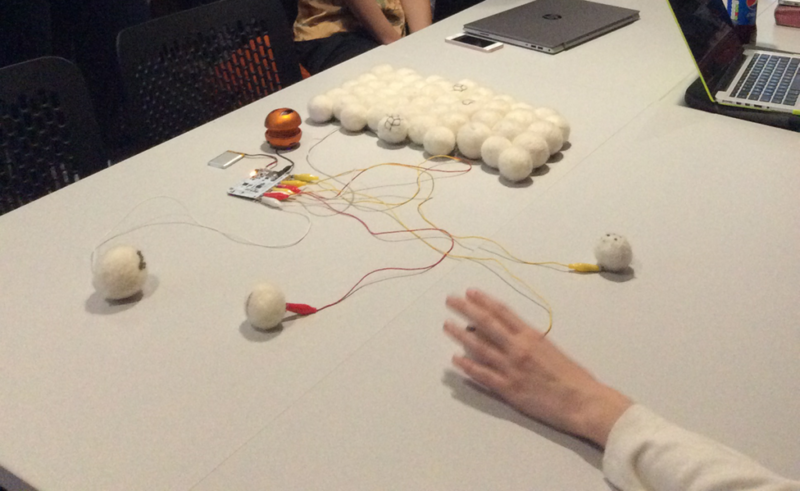 The direct experience of handling physical forms and directly engaging with a tangible product results in new and novel encounters with technological objects.